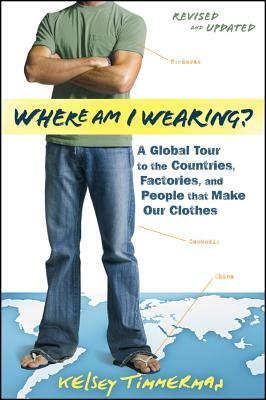 To celebrate the release of the new updated and revised edition of Where Am I Wearing? I’m celebrating apparel companies that are making a difference by conducting two weeks of giveaways. Each day I’ll highlight a company and then giveaway an item of theirs at 9PM (ish). To enter, leave a comment in that day’s blog post or on Facebook. Winner will be randomly selected. 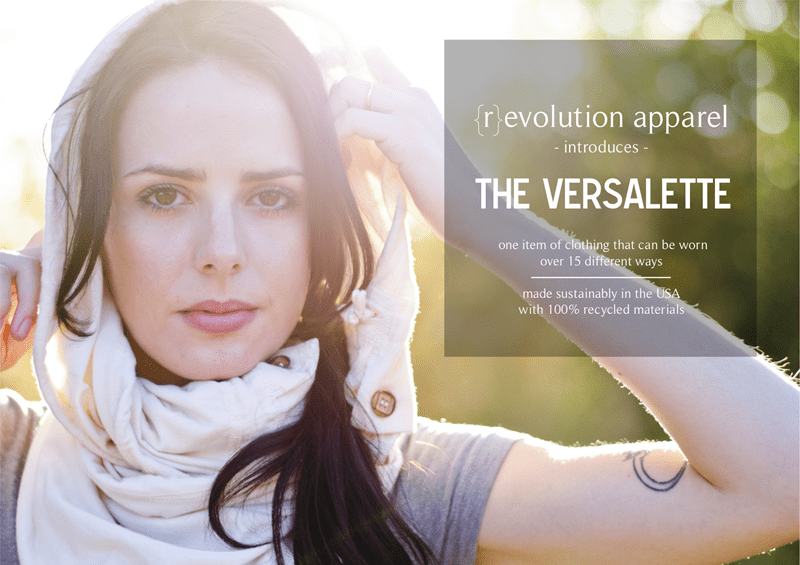 Wanna see more clothing companies changing the world? Visit Kelsey’s Closet. To celebrate the release of the new updated and revised edition of Where Am I Wearing? I’m celebrating apparel companies that are making a difference by conducting two weeks of giveaways. Each day I’ll highlight a company and then giveaway an item of theirs at 9PM (ish) EST. To enter, leave a comment in that day’s blog post or on Facebook. Winner will be randomly selected. To celebrate the release of the new updated and revised edition of Where Am I Wearing? I’m celebrating apparel companies that are making a difference by conducting two weeks of giveaways. Each day I’ll highlight a company and then giveaway an item of theirs at 7PM (ish). To enter, leave a comment in that day’s blog post or on Facebook. Winner will be randomly selected. It’s covered in water. According to SustainU, today’s induction into Kelsey’s Closet, it takes over 40,000 liters of water to make one shirt. By 2025 two-thirds of people in our planet will live under water-stressed conditions. Where Am I Wearing 2nd Edition is out ! The Where Am I Wearing? 2nd edition is out! Now with 38.4% more words! It was a pretty major update. All of the old material is still there, but there are also about 25,000 new words. 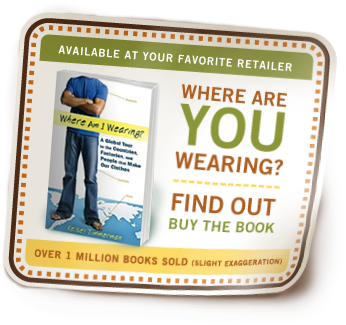 Here’s where to buy Where Am I Wearing? Are you wearing shoes today? In high schools and around colleges across the country students are going barefoot to celebrate TOMS Shoes One Day Without Shoes Event. Some call this event A Day Without Dignity. Last April I weighed in with a view somewhere between the Kool-Aid drinkers and the stone throwers with my post The Problem with TOMS Shoes and Its Critics. The post has led to one of the best discussions ever on my blog.